Software that enables the electronic handling of recruitment and hiring needs in an enterprise or small business is called an Applicant Tracking System (ATS). 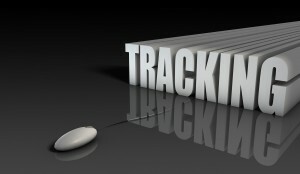 Depending on the needs of the company, an applicant tracking system can be very beneficial. Similar to a customer relationship management system, your ATS is designed to deal with hiring and recruitment needs. The system works to filter applications accepted by a company. Applications can be filtered by skills, schools attended, former employers, experience, keywords, and more. Decrease administrative and personnel costs. Increase overall quality of hire. Generate interview requests by email. Management for staff recruitment, internally and externally. To maximize your recruiting efficiency, try using our free applicant tracking system, Recruiteze. We offer a free, 15 day trial (no credit card required) so that you’ll be sure of your decision to use Recruiteze for all your employment recruitment and staffing needs. Recruiteze allows candidates to apply, and be added to your database immediately. End-users can access candidate resumes online and make changes quickly. Recruiting based on client needs has never been easier with your included custom job board as well. It allows candidates and customers easy access to information, and creates a level of professionalism that’s expected in today’s marketplace. Contact us today with any questions, and click here to try Recruiteze for free!